YORKVILLE (Nov. 5, 2017) — Gov. Bruce Rauner today declared a statewide harvest emergency to assist farmers and grain handlers who are grappling with the fallout of rain-related delays. Under a new law Rauner signed Aug. 11, the declaration permits drivers of trucks carrying agricultural commodities over state highways to obtain a free permit to exceed gross vehicle weight limits by 10 percent. Further, local authorities may waive the permit requirement at their discretion. The emergency declaration is in effect for 45 days beginning today, Nov. 5. The Illinois Department of Transportation already is mobilizing the permitting process and notifying law enforcement agencies throughout the state. More information is available at https://truckpermits.dot.illinois.gov/. According to data from the U.S. Department of Agriculture, the Illinois corn harvest at the end of October was 17 percentage points behind the prior year and 11 percentage points behind the five-year average. The corn harvests in the Northwest, Northeast and East regions are especially hard hit. Harvesters of a variety of crops made up ground toward the end of October, but early delays still are causing backups in the transportation chain. 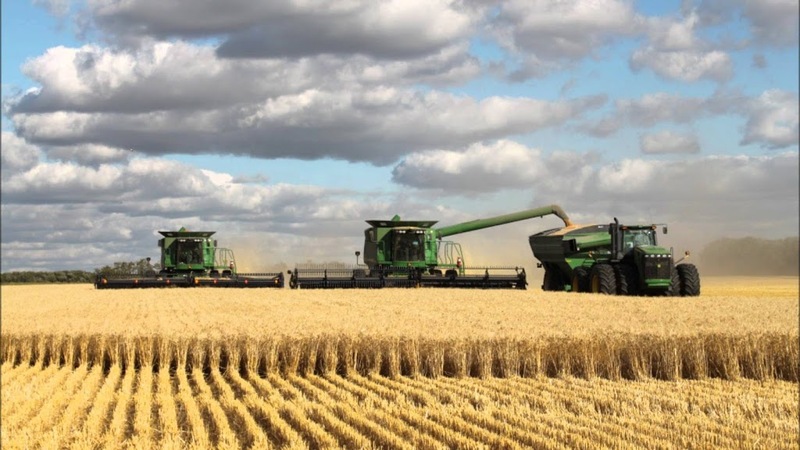 Jeff Adkisson, executive vice president of the Grain and Feed Association of Illinois, also praised the governor’s action, noting that a bumper crop combined with the harvest delays to compound the situation. Illinois Department of Agriculture Director Raymond Poe said the action will encourage the farming community. And state legislators also welcomed the harvest emergency declaration. State Rep. Tony McCombie, R-Savanna, co-sponsored HB 2580, which amended the state vehicle code to allow for exceeding trucks’ gross weight limits when a governor declares a harvest emergency. “Farmers form the backbone of our state’s economy,” said state Sen. Neil Anderson, a Republican from Andalusia who sponsored the legislation in the Senate. “Declaring a harvest emergency will reduce red tape and allow those farmers who are still in the field to focus on getting their crops in before winter really takes hold. State Rep. Dan Swanson, R-Alpha, a member of the House Agriculture and Conservation Committee, said the rainy planting season caused corn and beans to mature later this fall.